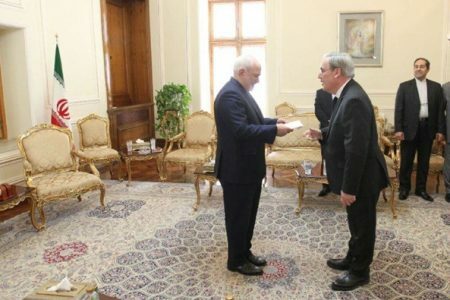 When the MEK were finally expelled from Iraq in August 2016, the Iraqi Foreign Ministry voiced its “deep satisfaction” with the relocation of the MEK in Albania. International efforts to solve the crisis were met with “outstanding success,” a statement read. ‘Deep satisfaction’ is an understatement. 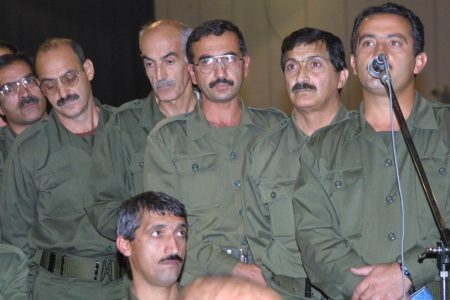 Since 2003, the MEK – known asSaddam’s Private Army – has been linked to the insurrectionists which included former Saddamists and Al Qaida in Iraq and later Daesh whom the MEK called ‘revolutionary brothers’. In 2009 serious efforts began to expel the group. 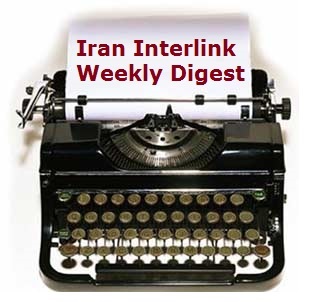 The MEK refused to cooperate, issuing credible mass suicide threats against any interference. In 2011, the government of Iraq signed a Memorandum of Understanding with the UN to facilitate this effort. 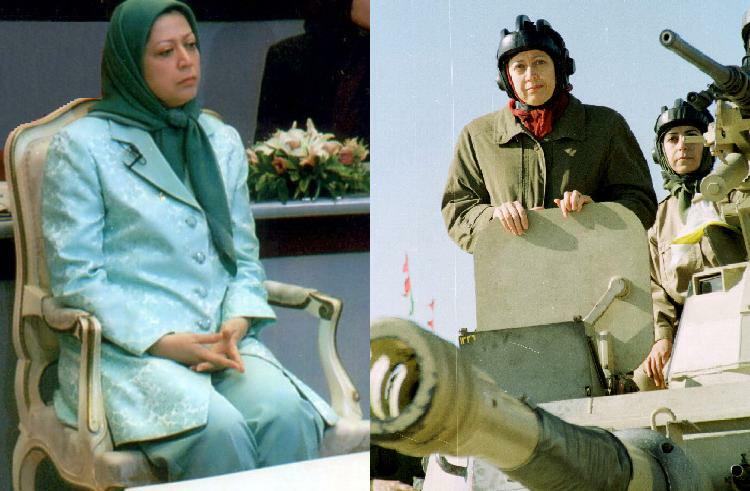 The MEK still refused to cooperate. Neither was it straightforward to relocate an entire terrorist group. In 2013 Romania refused to take them. Instead, a $9m deal was struck by the US with the government of Albania to take an initial 210. In March 2013, the Obama Administration urged the MEK leadership to “accept the government of Albania’s humanitarian offer immediately, and urges the residents of Camp [Liberty] to resume participation in resettlement interviews to ensure that individuals avail themselves of safe and secure relocation opportunities outside Iraq”. The MEK rejected the offer. The transfer process slowed and often stalled over the next three years. It was only over the summer of 2016 when it became clear that Daesh and the Saddamists would be flushed out of Mosul and Daesh’s dream of establishing its abhorrent Caliphate in Iraq had been crushed, that the MEK finally accepted to leave. By this time the MEK had sustained 200 deaths and even more injuries as their camp was repeatedly attacked by enemies. For sure the Iraqis had good reason to be glad to see the back of them. Now in Albania many questions surround the arrival of the MEK. Since 2013, when the government announced publicly that 210 MEK would be accepted in the country, there has been no official communication with the citizenry about the numbers or the purpose of this influx, even though the government’s resettlement package has reached $20m. With upward of 2500 terrorists now located in Tirana, what does this mean for Albania and Albanians? What is the missing backstory and where lies a credible explanation for the MEK’s deviant behaviour? The first thing we can state is that there is no programme in Albania to de-radicalisethese people. They were transferred as an intact group and there are no plans to disband them. Although international law forbids the UN from granting asylum to terrorists or even to a political group, this is what apparently has happened here. Evidence that this group is not going to be de-radicalised is not difficult to obtain. Some members when interviewed have already said they only intend to stay in Albania “until the Iranian regime is toppled”. Journalists would only then need to ask why the members are denied any form of family life – marriage and children are banned in the MEK – to elicit the answer ‘so we can focus fully on our struggle’. It is an overt admission that they are not about to abandon their activities as a terrorist group. They are not willing to submit to de-radicalisation. But how do we know they are radicalised at all? 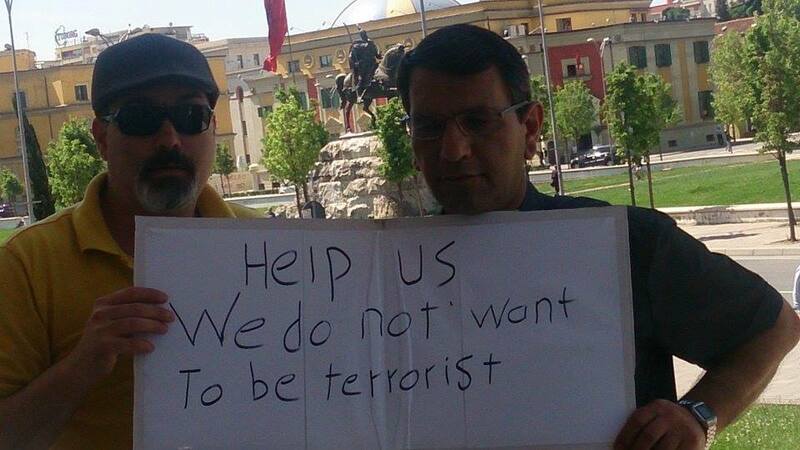 What threat, if any, do these people pose to Albanian society? For the local citizens, mystery surrounds their arrival and their lifestyle. Should these secretive and covert neighbours be treated with suspicion or kindness? At a local level, the first thing neighbouring families need to be aware of is that among all MEK members, sexual relations have been banned for over 25 years. This means there are no marriages or children or young people in the organisation. More troubling are the obligatory confessional meetings in which members are required to admit any sexual thoughts or feelings and be punished for them. With this emphasis on sexual matters, it is not known how such people may react when they come in contact with ordinary people and their children. Local people will notice that the behaviour, body language and appearance of the MEK are not normal. 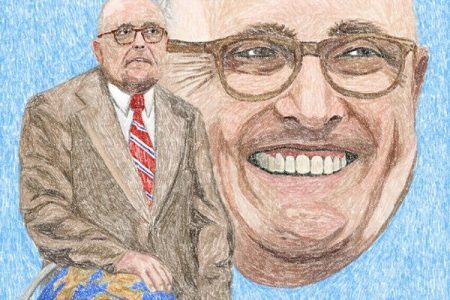 They will intuitively understand that there is something deviant in these people but will not, without further knowledge, have the means to explain it. In short it is the result of radicalisation. This is a process of ongoing brainwashing which suppresses the authentic self and emotions and replaces them with the zealous ideological mindset of terrorists. These people dress, walk and hold themselves differently. Their utilitarian, beggar-like clothes are easily identifiable as thinly disguised uniforms. They do not readily engage with outsiders. Most of them remain isolated behind closed doors and curtains. Those who do come outside are the trusted members who have been successfully re-charged with fresh ideological zeal. They come outside for specific missions such as buying mobile phones, not for enjoyment or leisure. More senior members, travelling covertly in vehicles, will be involved in other more secretive and troubling activities. In public, the MEK may appear friendly and confident, condescending even, since they feel themselves superior to outsiders. However, because they are very much focused on their own self-preservation and that of their group, this means they cannot engage on a more personal level or talk about everyday issues and will become agitated if pressed beyond their capacity and knowledge. As a result of radicalisation they have a black and white world view, operate with a very narrow range of emotions and are reluctant to question or be questioned. They display a phobic response to the outside world. Indeed, the MEK do not have an ‘outside’ to which they want to return. Their whole lives revolve around obedience to their group and its leaders. Radicalisation makes them obedient to orders. 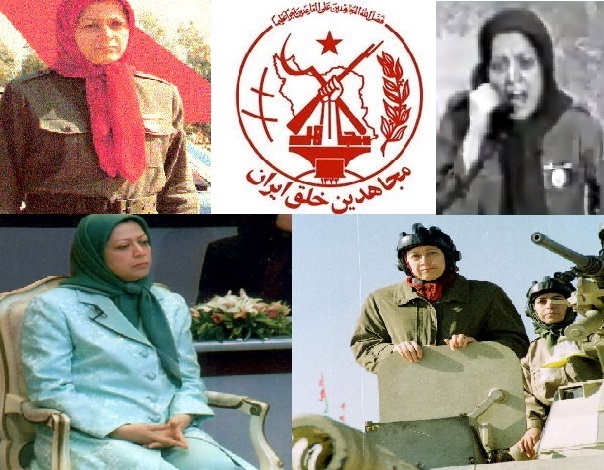 The MEK know themselves as ‘living martyrs’ which means they accept death at any time if ordered by their leaders to kill or perform a suicide mission. What the Albanian authorities are dealing with is not only radicalised combatants but combatants who have been fully trained in terrorism and security tactics by Saddam Hussein’s Republican Guard and Mokhabarat (secret services). They may be old and some may be sick, but they remain programmed to obey orders and are prepared to die or kill for their beliefs. They are trained to dissemble. They can operate easily using two or three false identities. (Complicated by the fact many arrived in Albania using false identities.) They can set people up, obscure their tracks and hide in plain sight. Transferring these people from Iraq to Albania is the equivalent of moving terrorists from Syria to Europe. The challenges posed by these facts cannot be ignored or minimised. 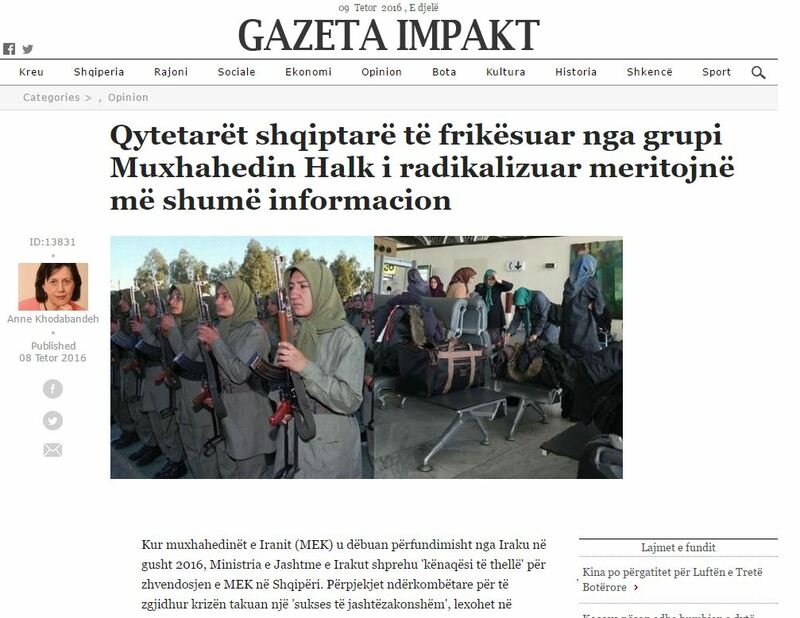 So, if the MEK are not going to be disbanded and de-radicalised, what will they be doing in Albania? The MEK has a long history of terrorist activity, and its belief system is rooted in violence, but the MEK’s modern role is not military. While in Iraq, the group fulfilled vital facilitating functions for Saddam Hussein, mostly in Europe, doing what he couldn’t do under international sanctions: selling oil under the UN oil-for-food programme; procuring weapons and military equipment; purchasing chemical components for WMDs; money laundry; people trafficking; intimidation and murder of opponents; and undertaking public relations work in the West, including corrupting politicians. It is anticipated that the MEK will perform a similar facilitating function in Albania, but this time serving modern terrorist groups like Daesh and smaller groups. (The MEK is in part funded by Saudi Arabia.) Albania’s location and historic problems with organised crime and corruption still render the country vulnerable to exploitation by groups like the MEK. 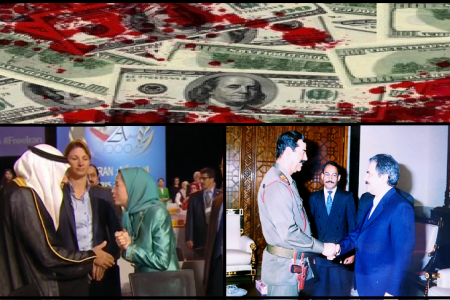 It is known that over the past three years, the MEK have already developed relations with criminal gangs and corrupt government officials. 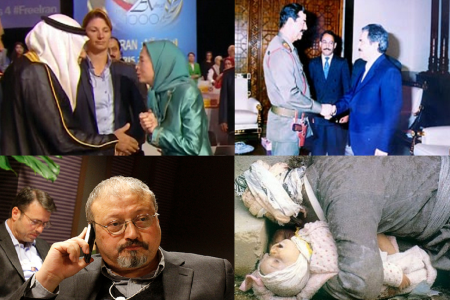 The danger lies in the MEK’s sophisticated capacity to propagandise and deceive political and public opinion, while at the same time performing outrageously damaging activities for the host country. 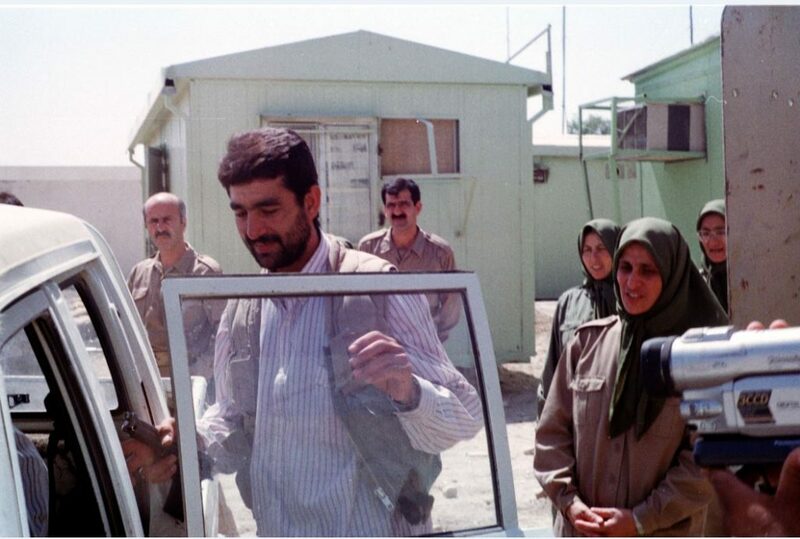 Not only are the MEK fully trained by Saddam’s Intelligence service, but radicalisation means they have no moral, social or religious boundaries whatsoever. For them, all criminal activity is justified by their ideological belief that they can and must do anything for their cause. Just as the MEK hosted Al Qaida and other insurgents in Iraq, the group is now fully placed to act as a hideout and training provider for the jihadis and terrorists who currently threaten the security of the whole Middle East. If Albania fails to de-radicalise these people, the consequences could be severe. It is up to the Albanian people to demand a satisfactory explanation from their government. Is this really the humanitarian mission that Albania signed up for? Kur muxhahedinët e Iranit (MEK) u dëbuan përfundimisht nga Iraku në gusht 2016, Ministria e Jashtme e Irakut shprehu ‘kënaqësi të thellë’ për zhvendosjen e MEK në Shqipëri. Përpjekjet ndërkombëtare për të zgjidhur krizën takuan një ‘sukses të jashtëzakonshëm’, lexohet në deklaratë. ‘Kënaqësi e thellë’ është pak. Që nga viti 2003, MEK – të njohur si Ushtria Private e Sadamit – kanë qenë të lidhur me shokë të tjerë rebelë ku përfshhen ish-sadamistët dhe Al Kaeda në Irak, dhe më vonë Daesh(ISIS), të cilët MEK i ka quajtur ‘vëllezër revolucionarë’. Në vitin 2009 filloi përpjekja serioze për ta dëbuar grupin. MEK nuk pranoi të bashkëpunojë,duke lëshuar kërcënime masive për vetëvrasje kundër çdo ndërhyrjeje. Në vitin 2011, qeveria e Irakut ka nënshkruar një Memorandum Mirëkuptimi me OKB-në për të lehtësuar këtë përpjekje. MEK sërish nuk pranoi të bashkëpunojë. As zhvendosja e tërë grupit terrorist nuk ishte e thjeshtë. Në vitin 2013 Rumania nuk pranoi t’i marrë ata. Kështu, në vend të kësaj, SHBA lidhi një marrëveshje prej 9 milionë dollarësh me qeverinë e Shqipërisë për të marrë një grup fillestar prej 210 personash. Në mars të vitit 2013, administrata Obama i bëri thirrje udhëheqësit të MEK ‘të pranojë menjëherë ofertën humanitare të qeverisë Shqiptare, dhe t’u bëjë thirrje banorëve të Kampit që të rifillojnë pjesëmarrjen në intervistat e risistemimit, për t’u siguruar që individët të përfitojnë nga mundësitë e sigurta të zhvendosjes jashtë Irakut’. MEK e refuzoi ofertën. 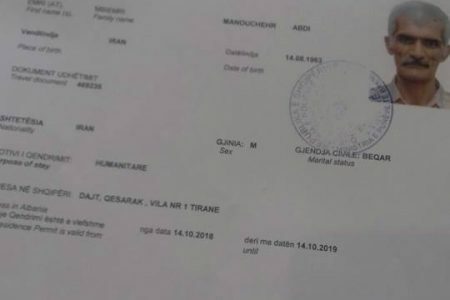 Procesi i transferimit është ngadalësuar dhe shpesh penguar gjatë tre viteve të ardhshme. Vetëm gjatë verës së vitit 2016, kur u bë e qartë se Daesh dhe sadamistët do të nxirreshin jashtë nga Mosuli, dhe se ëndrra e Daesh për krijimin e Kalifatit të pështirë në Irak ishte shtypur, MEK më në fund pranoi të largohet. Në këtë kohë MEK kishte pësuar 200 të vdekur dhe akoma më shumë të plagosur pasi kampi i tyre u sulmua vazhdimisht nga armiqtë. Sigurisht që irakenët kishin arsye të forta për të qenë të lumtur për zbrapjsen e tyre. Tani ardhjen e MEK në Shqipëri e rrethojnë shumë pyetje. Që nga viti 2013, kur qeveria njoftoi publikisht se 210 pjestarë të MEK do të pranohen në vend, nuk ka pasur asnjë komunikim zyrtar me qytetarët në lidhje me numrat apo qëllimin e këtij fluksi, edhe pse paketa zhvendosëse e qeverisë ka arritur në 20 milionë dollarë. Më shumë se 2500 terroristë ndodhen tani në Tiranë; çfarë do të thotë kjo për Shqipërinë dhe shqiptarët? Cila është prapaskena që mungon dhe ku mund të gjendet një shpjegim i besueshëm për sjelljen devijante të MEK? Gjëja e parë që mund të themi është se nuk ka asnjë program në Shqipëri për të de-radikalizuar këta njerëz. Ata u transferuan si një grup i paprekur dhe nuk ka asnjë plan për t’i shpërndarë. Edhe pse ligji ndërkombëtar e ndalon OKB-në nga dhënia e azilit për terroristët apo qoftë edhe për një grup politik, kjo është ajo që me sa duket ka ndodhur këtu. Prova se ky grup nuk do të de-radikalizohet nuk është e vështirë për t’u siguruar. Disa anëtarë tashmë të intervistuar kanë thënë se ata kanë për qëllim vetëm të qëndrojnë në Shqipëri , ‘derisa regjimi iranian të rrëzohet’. Pra gazetarëve do t’u duhet vetëm t’i pyesin se pse anëtarëve iu është mohuar çdo formë e jetës familjare – martesa dhe fëmijët janë të ndaluara në MEK – për të marrë përgjigjen: ‘kështu ne mund të përqëndrohemi plotësisht në luftën tonë’. Është një pohim i hapur se ata nuk kanë ndërmend t’i braktisin aktivitetet e tyre si një grup terrorist. Ata nuk janë të gatshëm për t’u paraqitur për de-radikalizim. Por si e dimë ne se ata janë totalisht të radikalizuar? Çfarë kërcënimi, nëse ekziston, këta njerëz paraqesin për shoqërinë shqiptare? Për qytetarët lokalë, ardhja dhe mënyra e jetesës së tyre mbetet mister. Këto fqinjë sekretë dhe të fshehtë duhet të trajtohen me dyshim apo mirësi? Në nivel lokal, gjëja e parë që familjet fqinje duhet të dinë është se në mesin e të gjithë anëtarëve të MEK, marrëdhëniet seksuale janë ndaluar për më shumë se 25 vjet. Kjo do të thotë se nuk ka martesa, fëmijë ose të rinj në organizatë. Më shqetësuese janë takimet e detyrueshme konfesionale në të cilat anëtarët duhet të pranojnë ndonjë mendim apo ndjenjë seksuale dhe të dënohen për to. Me këtë detyrim në çështjet seksuale, nuk mund ta dimë se si mund të reagojnë njerëz të tillë, kur vijnë në kontakt me njerëzit e zakonshëm dhe fëmijët e tyre. Vendasit do të vënë re se sjellja, gjuha e trupit dhe pamja e muxhahedinëve nuk janë normale. Ata në mënyrë intuitive do ta kuptojnë se ka diçka të devijuar në këta njerëz, por nuk do munden, pa njohuri të mëtejshme, të gjejnë mënyrën për ta shpjeguar. Me pak fjalë ky është rezultat i radikalizmit. Ky është një proces i vazhdueshëm ndërrimi pikëpamjesh që shtyp veten dhe emocionet dhe i zëvendëson ato me mendimin e zellshëm ideologjik të terroristëve. Këta njerëz vishen, ecin dhe e mbajnë veten ndryshe. Veshjet e tyre modeste, si veshje lypësi, janë lehtësisht të identifikueshme si uniforma maskuese. Ata nuk janë të gatshëm të angazhohen me të huajt. Shumica e tyre mbeten të izoluar prapa dyerve të mbyllura dhe perdeve. Ata që dalin jashtë janë anëtarë të besuar të cilët e kanë përvetësuar me sukses zellin e freskët ideologjik. Ata dalin jashtë për misione të veçanta të tilla si blerja e telefonave celularë, jo për kënaqësi apo kohë të lirë. Anëtarë më të lartë, që udhëtojnë fshehurazi në automjete, janë të përfshirë në aktivitete të tjera më të fshehta dhe më shqetësuese. Në publik, muxhahedinët mund të duken miqësorë dhe të sigurt, mospërfillës madje, pasi ata e ndjejnë veten më superiorë se të jashtmit. Megjithatë, për shkak se ata janë shumë të përqendruar në ruajtjen e vetes dhe të grupit të tyre, sigurisht që nuk mund të angazhohen në një nivel më personal apo të flasin për çështje të përditshme, dhe madje do të bëhen nervozë nëse i shtyn përtej kapacitetit dhe njohurive të tyre. Si rezultat i radikalizmit ata kanë një pamje bardhë e zi për botën, veprojnë me një gamë shumë të ngushtë emocionesh dhe janë ngurrues për të pyetur apo për t’u pyetur. Ata shfaqin një përgjigje të frikësuar ndaj botës së jashtme. Në të vërtetë, muxhahedinët nuk kanë një ‘jashtë’ te e cila ata duan të kthehen. Gjithë jeta e tyre sillet rreth bindjes ndaj grupit të tyre dhe udhëheqësve të tij. Radikalizimi i bën ata të bindur ndaj urdhrave. MEK e dinë veten si ‘dëshmorë të gjallë’ që do të thotë se ata e pranojnë vdekjen në çdo kohë, nëse urdhërohen nga udhëheqësit e tyre për të vrarë ose për të kryer një mision vetëvrasës. Ajo me të cilën po përballen autoritetet shqiptare nuk janë vetëm luftëtarët e radikalizuar, por luftëtarët të cilët janë plotësisht të trajnuar në taktikat e terrorizmit dhe të sigurisë nga Garda e Republikës së Sadam Huseinit dhe Mokhabarat (shërbime sekrete). Ata mund të jenë të vjetër dhe disa mund të jenë të sëmurë, por ata mbeten të programuar që t’u binden urdhrave dhe janë të përgatitur për të vdekur apo për të vrarë për bindjet e tyre. Ata janë të trajnuar për t’u fshehur. Ata mund të operojnë lehtë duke përdorur dy ose tre identitete të rreme. (E komplikuar nga fakti se shumë prej tyre kanë mbërritur në Shqipëri duke përdorur identitete të rreme.) Ata mund të krijojnë identitete, të fshehin gjurmët e tyre dhe të fshihen sy për sy. Transferimi i këtyre njerëzve nga Iraku në Shqipëri është ekuivalent me lëvizjen e terroristëve nga Siria në Evropë. Sfidat e paraqitura nga këto fakte nuk mund të injorohen apo të minimizohen. Pra, në qoftë se MEK nuk do të shpërbëhen dhe de-radikalizohen, çfarë të jenë duke bërë në Shqipëri vallë? MEK ka një histori të gjatë të veprimtarisë terroriste, si dhe sistemi i tij i besimit është i rrënjosur në dhunë, por roli modern i MEK nuk është ushtarak. Në Irak, grupi përmbushte funksionet vitale lehtësuese për Sadam Huseinin, dhe kryesisht në Evropë, ata bënin atë që ai nuk mundi të bëjë nën sanksionet ndërkombëtare: shitjen e naftës nën programin e OKB-së naftë-për-ushqim; sigurimin e armëve dhe pajisjeve ushtarake; blerjen e komponentëve kimikë të Shkatërrrimit në Masë; larjen e parave; trafikimin e njerëzve; frikësimin dhe vrasjen e kundërshtarëve dhe ndërmarrjen e marrëdhënieve publike në Perëndim, duke përfshirë edhe korruptimin e politikanëve. Është parashikuar që MEK do të kryejë një funksion të ngjashëm lehtësues në Shqipëri, por këtë herë duke u shërbyer grupeve moderne terroriste si Daesh dhe grupeve më të vogla. (MEK është pjesërisht i financuar nga Arabia Saudite.) Vendndodhja e Shqipërisë dhe problemet historike me krimin e organizuar dhe korrupsionin ende bëjnë që vendi të jetë i pambrojtur ndaj shfrytëzimit nga grupet si MEK. Është e njohur se gjatë tre viteve të fundit, muxhahedinët kanë zhvilluar tashmë marrëdhënie me bandat kriminale dhe zyrtarët e korruptuar të qeverisë. Rreziku qëndron në kapacitetin e sofistikuar të MEK për të propaganduar dhe mashtruar opinionin politik dhe publik, e duke kryer në të njëjtën kohë aktivitete të dëmshme të patolerueshme për vendin pritës. Jo vetëm që muxhahedinët janë plotësisht të trajnuar nga shërbimi Inteligjencës së Sadamit, por radikalizimi do të thotë se ata nuk kanë kufij moralë, socialë, fetarë apo cfarëdoqofshin. Për ata, i gjithë aktiviteti kriminal është i shfajësuar nëpërmjet besimit të tyre ideologjik që ata mund dhe duhet të bëjnë cdo gjë për kauzën e tyre. Ashtu sic priti Al Kaedën dhe kryengritësit e tjerë në Irak, MEK tashmë është vendosur plotësisht për të vepruar si një vend i izoluar dhe trajnues për xhihadistët dhe terroristët, të cilët aktualisht kërcënojnë sigurinë e të gjithë Lindjes së Mesme. The arrival of the Mojahedin-e Khalq in our country has exposed the divisions between the members and their leaders, and now it seems their only hope is to find help from Albania’s Prime Minister Edi Rama. Some family members of the members of the terrorist organization Mojahedin-e Khalq from the province of Ilam in western Iran have sent a letter to Prime Minister Rama. They have asked him to help them meet with their loved ones because the leaders of the MEK do not allow such meetings. We are some families of Mojahedin-e Khalq members. We live in Ilam Province, Iran. The names of our loved ones are listed at the end of this letter. 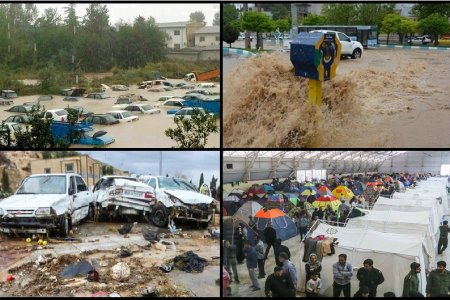 These are people who, some years ago, were deceived by the empty promises of MEK leaders Massoud and Maryam Rajavi. Our loved ones were thus sent to Iraq and each of them have, for over 20 years, been separated from their families and placed under physical and mental captivity and are living under severely restrictive measures. They are also deprived of any contact with their families by telephone or through correspondence. Many times we went to Iraq to make contact with our loved ones. We faced all the difficulties of travelling to Iraq and the dangerous situation in that country and have gone to the gates of MEK camps Ashraf and Liberty. We asked that our loved ones could meet with us. But, unfortunately we were faced with insults, curses and abuse on the part of the Mojahedin-e Khalq leaders. Each time we returned to our homes disappointed, without meeting with our loved ones. Now we ask you, the honourable Prime Minister of Albania, to help us by creating opportunities to meet with our loved ones. We hope that this letter will be read personally by you, the Prime Minister of Albania and that you will enable us to rejoice with our children. It is in your power to help us and grant us our request. We express our sincere appreciation. Ardhja e muxhahedinëve në vendin tonë ka sjellur edhe përçarjen me njëti-tjetrin dhe me krerët e tyre, dhe siç duket tanimë shpëtimin e vetëm e gjejnë tek kryeministri ‘dashamirës’ shqiptar Edi Rama. Disa familje të anëtarëve të organizatës terroriste Moxhahedine Khalk nga provinca Ilam në perëndim të Iranit në një letër dërguar kryeministrit të Shqipërisë Edi Rama, kanë kërkuar që të takohen më bijtë e tyre, sepse ata në letër kanë përmendur se krerët e këtyre organizatave nuk ua lejojnë atyre takimin me familjarët e tyre. Ne jemi disa familje të anëtarëve të grupit Moxhahedine Khalk nga Irani, provinca Ilam, që emrat e tyre po i shënojmë në fund të kësaj letre. Këta bijë tanë disa vite më parë janë mashtruar me premtimet boshe të Marjam Ghaxhar Ezodanlu dhe të Masud Raxhavi, liderit të Organizatës Moxhahedine Khalk. Fëmijët tanë janë dërguar në Irak dhe secili prej tyre kanë mbi 20 vjet që janë ndarë nga familjet e tyre dhe janë futur nën robërinë mentale dhe fizike dhe po jetojnë nën masa të ashpra kufizuese. Ata janë privuar edhe nga çfarëdo lloj kontakti me familjet e tyre me anë të telefonit ose nëpërmjet letërkëmbimit. Ne, shumë herë kemi shkuar në Irak për tu takuar me fëmijët tanë duk përballuar të gjitha vështirësitë e rrugës dhe situatës së rrezikshme në atë vend dhe kemi shkuar pranë kampit të Organizatës Moxhahedine Khalk në Ashraf dhe Liberti ku kemi thirrur fëmijët tanë nga afër, mirëpo për fat të keq jemi përballur me fyerje, sharje dhe keqtrajtime nga ana e krerëve të Organizatës Moxhahedine Khalk. Çdo herë jemi kthyer mbrapa në shtëpitë tona pa u takuar me fëmijët tanë dhe të zhgënjyer. Tani kërkojmë nga kryeministri i respektuar i Shqipërisë që të na bëjë një të mirë neve duke krijuar mundësitë që të takohemi me fëmijët tanë! Ne shpresojmë që këtë letër do ta lexojë personalisht kryeministri i Shqipërisë dhe të na mundësojë të çmallemi dhe gëzohemi me fëmijët tanë, sepse ne e dimë që kryeministri i Shqipërisë ka të gjitha mundësitë që të na plotësojë kërkesën tonë! Shprehim falënderimet tona më të sinqerta për kryeministrin e respektuar të Shqipërisë! How much does it cost to keep Iran’s enemies in Albania? Iranian media reported on Thursday that a plane has flown 155 members of the Mujahedin-e Khalq (People’s Mujahedin of Iran), an exiled opposition movement that advocates the overthrow of the Islamic Republic in Iran, to Tirana. The Fars news agency claimed that a total of 676 of the organisation’s members are scheduled to be transferred to Albania this month. 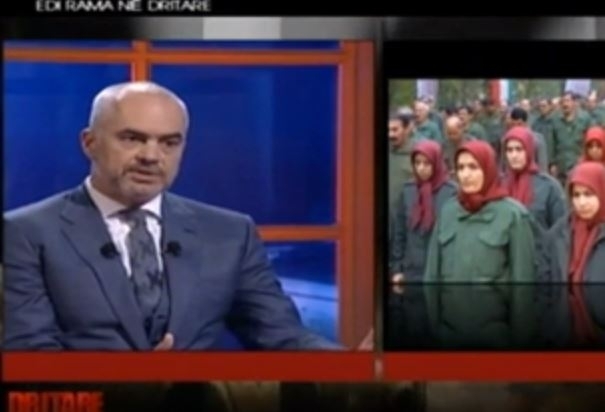 The Albanian Interior ministry didn’t deny the report, although it refused to specify the number of People’s Mujahedin of Iran members expected to be transferred to Albania during August. “The Albanian government has an agreement signed in 2013 for the accommodation of the group so we are continuously expecting them to come to the country in accordance with it,” an interior ministry source. The agreement is believed to have been signed with the US, and the People’s Mujahedin of Iran members are believed to have been transferred to Tirana from Camp Liberty in Iraq. The interior ministry source said that it was not allowed under the agreement to give the numbers of those arriving as this was considered a sensitive information gave the risks involved. In March 2013, former Prime Minister Sali Berisha disclosed part of the agreement in an official statement after meeting the US Deputy Assistant Secretary of State, Barbara Leaf, and the UN envoy to Iraq, Martin Kobler. At the time, the government said it had offered asylum to 210 members of the People’s Mujahedin of Iran. After that, no more information about the agreement or the opposition fighters’ arrival has been officially released. Voice of America reported in February this year however that the number of People’s Mujahedin of Iran members coming to Albania might be as many as 3,000. “In the last two years, Albania has accepted around 1,000 members of this group, and according to a high official of State Department, the country has promised that is going to accept also 2,000 others,” wrote journalist Pam Dockins in an article for Voice of America after she was part of the press entourage accompanying US Secretary of State John Kerry to Tirana on February 14. Dockins’ article also said that during the visit, Kerry thanked the Albanian government for its effort in the taking the Iranians, although the issue was not publicly mentioned while he met the country’s political leaders. The People’s Mujahedin of Iran is a controversial resistance group. Founded in 1965 as a left-leaning opposition to the Shah’s regime, it turned against the Islamic Republic following the 1979 Revolution. The US listed it as a terrorist organisation in 1997 but it was removed from the blacklist in 2012 after it renounced violence. Several thousand of its members left Iran for Iraq, where former dictator Saddam Hussein, used them as a tool against the Iranian regime. After the US-led invasion of Iraq in 2003, alliance forces offered the Iranians protection. Since then, about 3,000 have lived at Camp Ashraf while others were sheltered at Camp Liberty near Baghdad. Mbledhja e madhe e Maryam Rajavit në Paris më 9 Korrik është shpallur si premtim i saj i ndryshimit të afërt të regjimit . Në fakt kjo u kthye në një polemikë të madhe të një lloji tjetër. 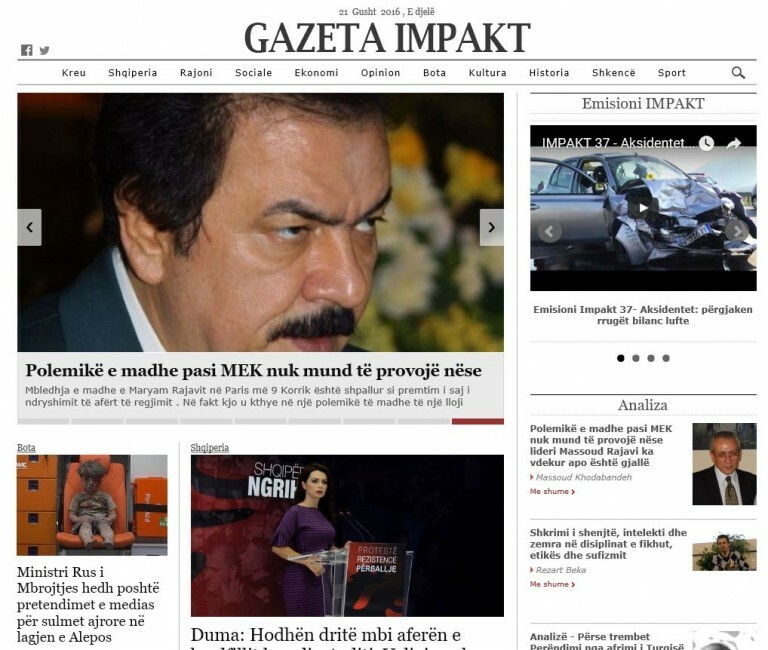 Propoganda e këtij viti reklamon aftësitë propaganduese të Rajavit në mënyrë që të sigurojë fonde të vazhdueshme nga pasanikët e ndryshimit të regjimit. Ky vit ishte ndryshim dramatik për shkak të prezencës së panjoftuar të princit Turki al-Faisal, ish-ambasadori i Saudisë në Mbretërinë e Bashkuar dhe SHBA. Sigurisht, jo një person që e fton nga një listë e agjensisë së folësve. Këtë vit, përfshirja e Princit Turki ndryshoi gjithçka për MEK-un. 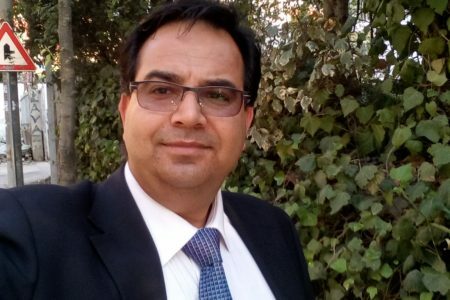 Dhe jo pak, pasi perceptimi i publikut të Arabisë Saudite si një regjim shtypës, sidomos për gratë. Turki këmbënguli që pikëtakimi të lëvizë nga Villepinte në Bourges për arsye sigurie. Më pas ai urdhëroi ndryshime në planin e skenës dhe panelit të folësve. Papritur, dikush tjetër ishte në krye të detyrës së eventit. E patrembur, madje edhe e kënaqur që kishte një të ftuar kaq prestigjoz, Maryam Rajavi e hapi mbledhjen duke lëvduar bashkëshortin e saj Massoud Rajavi. “Dashtë Zoti ta mbrojë luanin vigjilent të përjetshëm” lajmëroi ajo duke u drejtuar nga fotoja e tij e vënë në vend. Kjo pritej. Megjithëse ai u zhduk vetëm përpara se forcat aleate të sulmonin Irakun në 2003, Massoud Rajavi njihej si lideri aktual i Mojahedin-e Khalq (MEK-NCRI është emri i parë i MEK-ut), gruaja e tij ishte e dyta në detyrë. Kur ishte radha e Princit të Saudisë të fliste, ai i bëri me shenjë Maryam Rajavit të ulej me pjesën tjetër të audiencës dhe të dëgjonte, në të njëjtën kohë duke u siguruar që ajo nuk do të fotografohej me të në asnjë moment. Turki, ish koka e inteligjencës së Saudisë me të cilën ai është akoma i përfshirë, është një operator mendjehollë famëkeq. Si Ambasador në Washington ai bindi disa Amerikanë se 9/11 nuk erdhi nga Saudija por nga Irani.Ai dihet që nuk del kurrë nga skenari. Kështu që, nuk ka dyshim se kur ai lajmëroi për të dytën herë vdekjen e Massoud Rajavi, nuk ishte një gabim. Fjala ‘marhoum’- e cila kuptohet si një shprehje ngushëllimi nga folësit Arab- tingëlloi rëndë, dhe kështu ishte qëllimisht pjesë e fjalisë së tij. 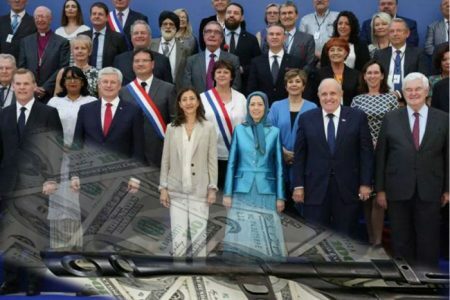 Deri në atë moment Maryam Rajavi ishte e pavetëdijshme. Mungesa e reagimit herën e parë, ai iu kthye direct asaj dhe i tha ‘marhoum Massoud Rajavi’, tregon se ajo nuk e kishte kuptuarçfarë ishte thënë. Herën e dytë e kuptoi, pasi dha një buzëqeshje. Im,Është e qartë se Turki nuk ishte konsultuar me MEK paraprakisht për përmbajtjen e fjalimit të tij. Dhe në qoftë se ai do të kishte bërë gabim, kishte shumë kohë ta ndreqte pastaj.Ai nuk e ndreqi. Atëherë, çfarë do të thotë kjo? A ka vdekur Massoud Rajavi? Dhe në qoftë se po, pse nuk e di bashkëshortja e tij, dhe në qoftë se e di, pse nuke thotë? Dhe më e rëndësishmja, pse princi Turki e bëri këtë lajmërimnë publik gjatë eventit më të rëndësishëm të MEK-ut? Megjithëse mbështetja e Saudisë për MEK i përket kohës së Saddam Hussein, lidhja nuk u be asnjëherë publike. (Ky është tregues se MEK ka përdorur AL Arabiya si zëdhënës për vite dhe sidomos muajt e fundit. )Analistëve ia mori mendja se Princi Turki mori pjesë në mbledhjen e MEK-ut në mënyrë që të shpallte veten si kryetar të grupit. Pas rënies së Sadam Hussein-it, MEK kishte nevojë për shpatulla të reja. Massoud Rajavi shiti shërbimet e grupit Izraelitëve, neokonservatorëve dhe sigurisht Arabisë Saudite. Ja pse ne pamë MEK-un tek përdorte negociatat bërthamore P5+1 me Iranin. 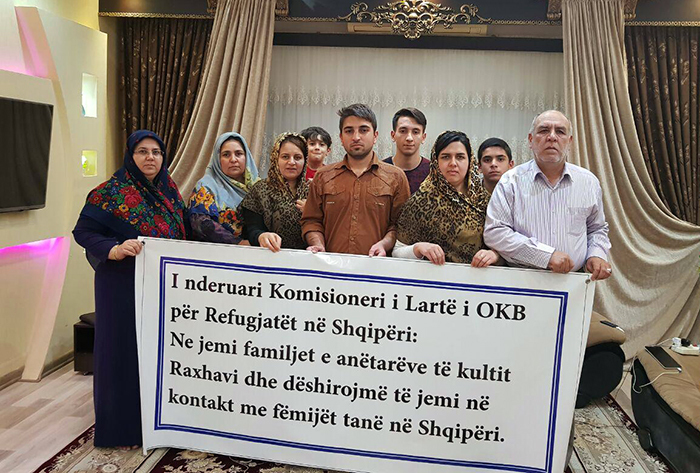 Sapo u arrit marrëveshja, retorika kundër-Iranit ndryshoi drejt abuzimeve të të drejtave njerëzore. Për fat të keq, puntorët e grupit, kanë bërë histori në këtë aspekt, me Human Rights Watch dhe RAND Corporation duke bërë të njohur të drejtat e njeriut dhe abuzimet e kultit që po bëhen në MEK. Si një ballafaqim i rremë, grupi është fyer kaq shumë nga iranianët saqë ka tërhequr vetë opozitën. Me ngritjen e Daesh dhe grupeve dhe gangsterëve të dhunshëm në Siri dhe Irak, MEK zbuloi mundësitë reja. Maryam Rajavi bëri përçapje për paqe për Ushtrinë e Lirë Siriane. Për ca kohë, dukej sikur MEK do të mund të përdorte një bazë të re në Shqipëri- forcë mjaft e radikalizuar në Kampin Liberty, Irak, po transferohen momentalisht – në një kamp lehtësues. Ideja ishte të mundësonte trajnim dhe logjistikë grupeve të reja terroriste nga një vend në cep të Europës, por pranë Lindjes së Mesme. Kjo u bllokua kur ekspertët shqiptar e ekspozuan në kanalet kombëtare. Ngjarjet në Lindjen e Mesme kanë ndryshuar. Arabia Saudite ka dalur në ballë dhe fsheh konfliktet ushtarake kundër Iranit që janë sekret i hapur në rajon. Por pasi u la në baltë nga Shtetet e Bashkuara, arabëve i janë dashur të kërkojnë aleatë të tjerë në këtë përpjekje. Ndërkohe, Turki e di shumë mirë se MEK nuk është asgjë më shumë se një makineri propogande dhe irrituese për Iranin, kjo është më mirë se hiçgjë. Shfaqja e Turki-t në mbledhje sinjalizon se kushdo që përpiqej t’i bënte keq Rajavit-hamendësohet shërbimet perëndimore intel- ia kanë dorëzuar saudive siç bënë në 1986 kur Rajavi u përjashtua nga Franca dhe iu dorëzua Saddam Hussein-it për ta ndihmuar në luftën kundër Iranit. Massoud Rajavi, naiv siç është ai, mendoi se do t’i fitonte pozitat e vjetra dhe do të punonte në projektet e reja për sauditët. Në vend të kësaj, ekspertët e MEK-ut besojnë se Maryam Rajavi do ta ketë kuptuar mesazhin e Turkit kështu:”Nuk ka drejtues të vjetër, ata nuk janë më. Jam vetëm unë.Dhe intel-i i Saudise nuk do t’ju trajtojë ashtu siç bëri Sadami. Në atë kohë ju kishit forcë luftarake në Irak gati për të sulmuar Iranin. Tani e drejta juaj e vetme është propoganda. E as nuk do t’ju trajtojmë ju me butësi ashtu siç kanë bërë MB ose SHBA. Nëse Rajavi ka vdekur ose po e vrasin tani, kjo nuk dihet- vetëm aim und t’i përgjigjet kësaj – por ai dhe e gjithë organizata e tij tani janë,me mish dhe shpirt, në duart e afta të Princit të Saudisë. Në qoftë se ai është akoma gjallë, roli i vetëm i Rajavit është të veprojë si ndërmjetës dhe të udhëzojë gruan e tij se çfarë duhettë bëjë ajonë emër të Saudisë. Sauditë, ashtu si Saddam Hussein, i shikojnë gratë me rëndësi të barabartë me delet dhe dhitë. Kështu që do të ishte e paperceptueshme që ata të merren vesh direct me të ashtëquajturën liderja feministe e grupit, shërbimet e së cilës po i paguajnë ata. Ditët kanë kaluar që kur Polemika e Madhe u ndërpre. Reagimi MEK-ut pas mbledhjes ishte gati histerike. Ata dërgonin mesazhe ne vende ku normalisht nuk do të flisnin –VOA dhe BBC Persi –për të theksuar përtej dyshimit se Rajavi është akoma gjallë. Përveç kësaj, MEK nuk ka mundur ta vërtetojë të vërtetën. Kështu që dikush po gënjen. At least 155 members of the terrorist Mujahedin-e Khalq Organization (MKO), including a number of the group’s senior leaders, have reportedly fled Iraq to Albania. A US passenger plane transferred the MKO terrorists, who had been holed up in Camp Liberty near Baghdad International Airport since the 2003 US-led invasion of Iraq, early on Thursday, Didehban Strategic Institute reported. 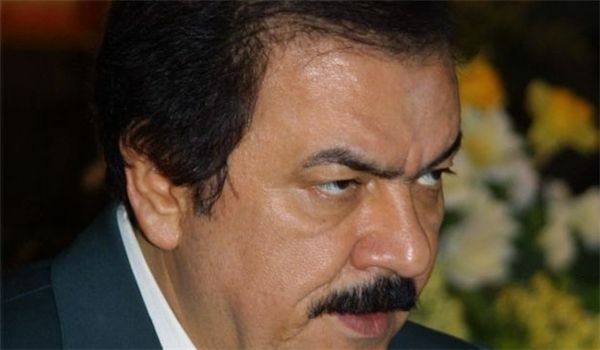 Several high-ranking officials of the MKO terrorist group, possibly its ringleader Massoud Rajavi, were reportedly on board the US plane. An arrest warrant had been issued for the terrorists by the Iraqi government and they fled the country with fake identities and passports. Didehban also quoted informed sources in Iraq as saying that the US plane had had no other passenger but the MKO terrorists. There is still no word if any MKO member remains in Camp Liberty but the terrorists’ departure has been reportedly facilitated by the United States, the United Nations and with the cooperation of Saudi Arabia. There is a deep-seated resentment toward MKO in Iraq because of its criminal past. The group widely supported former Iraqi dictator Saddam Hussein in his brutal crackdown on opponents. The terror group also sided with Saddam during his 1980-1988 war on Iran. Iraqi leaders have long urged MKO remnants to leave the Arab country but a complete eviction of the terrorists has been hampered by the US and European support for the group. 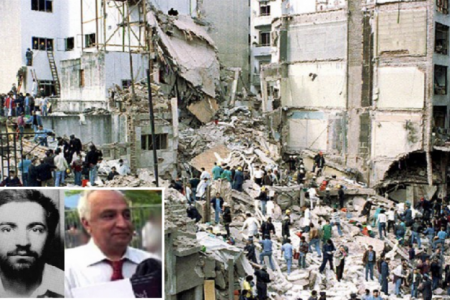 The terrorist group had to flee Iran shortly after the Islamic Revolution in 1979 after carrying out a spate of assassinations and bombings which took the lives of many top officials and civilians. 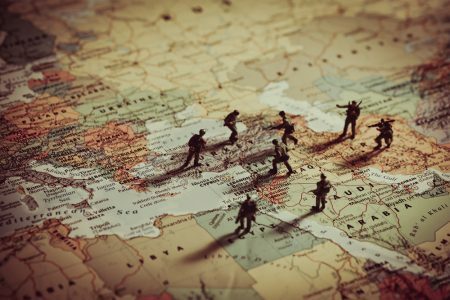 In December 2011, the UN and Baghdad agreed to relocate some 3,000 MKO members from Camp Ashraf in Iraq’s Diyala Province to Camp Liberty, which is a former US military base. 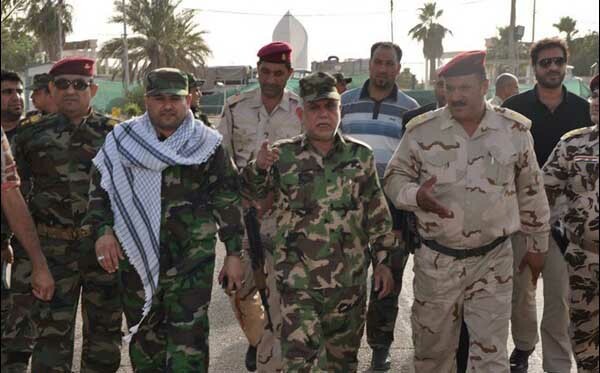 The last group of the MKO terrorists was evicted by the Iraqi government in September 2013 and relocated to the camp to await potential relocation to third countries. The MKO is listed as a terrorist organization by much of the international community and has committed numerous terrorist acts against Iranians and Iraqis. The world is waking up to the fact that some kind of brainwashing is involved in the ISIS campaign to recruit and deploy fighters in Iraq and Syria. This even extends to importing thousands of brainwashed ‘family’ recruits to populate its declared Caliphate. 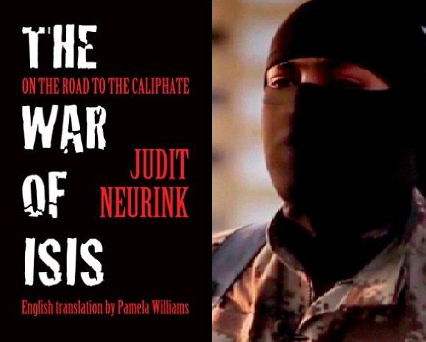 As an expert on this subject, I was interviewed by Dutch writer and journalist Judit Neurink as part of her new book ‘The war of ISIS: On the road to the Caliphate’. Judit has lived and worked in Iraqi Kurdistan for nearly a decade. This is important because she has been able to get into the hearts and minds of the people she shares this life with and they have rewarded her with a unique and intimate understanding of this region. This book is a reflection of that. Avoiding any sensationalism, Judit intersperses hard facts, information and analysis with individual accounts and sharp descriptions. She allows other people to speak about their knowledge and experience and by doing so brings the ISIS phenomenon to life in a way no external observer can hope to do. My contribution has been to talk about the cultic nature of ISIS and the specific methodology it uses to deceive and brainwash its victims into becoming killers and suicide bombers. In this respect it is very similar to the Mojahedin Khalq. The external behaviour of such groups can sometimes lead people to the false conclusion that one is worse or better than the other. The truth is that because of their internal cult dynamic all terrorist groups are not only dangerous to their intended targets but are also destructive of their own members. 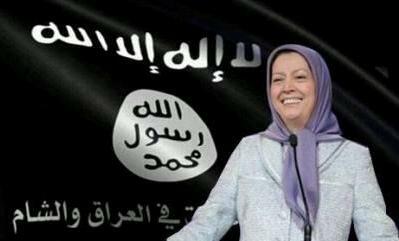 Like ISIS, the MEK has killed and tortured thousands of its own members over the years. ISIS is much more than just an Islamic group that has established its own state. It is a sect which brainwashes and indoctrinates its members. All new members must first follow lessons in sharia, the Islamic Legislation. “Not in the principles of Islam, but those from the Islamic state”, a young man who left ISIS tells the BBC. Whoever enters ISIS start with forty days in a religious training camp, led by a charismatic trainer. The young man said that his had come from Saudi Arabia, and was so “nice and convincing” that he was “prepared to become a suicide bomber if he has asked”. The training “aims at your heart and not your head, so that your heart becomes filled with passion for their words”. According to Massoud Khodabandeh, who for years was in the leadership of the Iranian political sect Mujahedeen Khalq (MKO), charismatic trainers play a far more prominent role than the ideology. That is secondary to the goal of the sect, which usually revolves around the well-being and the ambitions of the leader of the group and those around him. Concretely, with ISIS it’s about Baghdadi and the group around him, and their ambition to become powerful. 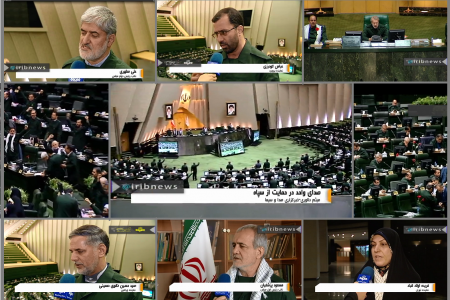 “With ISIS it is not about Islam”, khodabandeh said resolutely. “No one becomes a member of a sect because of their message”. The recruits from ISIS know nothing about Islam. Because it they did, they would not allow themselves to be lured in”. Khodabandeh broke with the MKO and now leads an organisation from Great Britain to help people follow his example. Internationally he is well known as an expert on the subject of political sects. According to him only people who were easily influenced beforehand will fall in to the net of the recruiters. “They have problems; they are running away from something. One from his father. The other one from debt collectors. They have failed in love or at university. They are already a victim before they fall in to the net”. For the training of its recruits ISIS had at the end of November in 2014 twenty five camps, fourteen in Syria and eleven in Iraq. One of those was exclusively for fighters from Kazakhstan. After the indoctrination a military training follows, fighters receive physical training and learn how to handle weapons. Those camps, often far from the inhabited world, are important in the process. That is where the recruit changes in to a suicide bomber, Khodabandeh concludes. The technique used to brainwash someone only works if you have a place where you are able to isolate people from the family and acquaintances, where there are no credit cards, and no place to go back to”. For the indoctrination of a fighter the recruitment focuses on separating them from everything they had, up to the point that they no longer want to live. For a suicide bomber live itself is a burden. If you are leading a life that you do not want, then you can convince yourself of the beckoning paradise. You only give up a life if you do not have one anyway”. To show the extent of this, Khodabandeh uses the example of an eighteen year old fighter who was taken prisoner by the Iraqi army before he could carry out his suicide mission. With the approval of the Iraqis, he spent 48 hours with the young man in an effort to pry him loose from the grip of ISIS. “I thought that I should be able to convince him to think differently about things. But after two days and nights he said that I had committed the greatest sin. I had kept him from reaching paradise for forty eight hours. It went that deep. His life was a burden. He begged to end it”. A sect exists from a nucleus with layers surrounding it. Like and onion, Khodabandeh says. The nucleus is the suicide bomber, for ISIS also the fighters who go in to battle to die. “You only need a certain number of these. But in order to recruit and indoctrinate them there are many more people needed”. Not everyone becomes a suicide bomber. And that prospect alone will not lure any recruits, neither does the idea of going to kill people, or decapitate leads, khodabandeh believes. They come from money, for charity, for a role in the new state or the army. 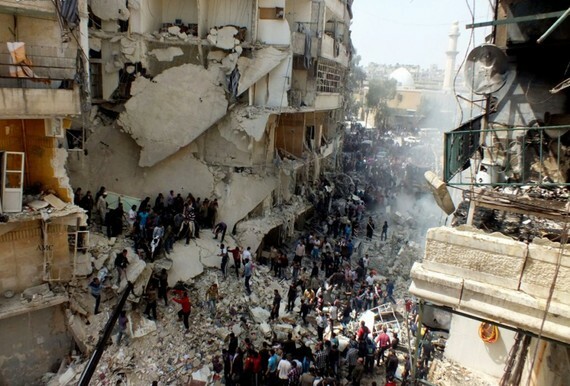 “In Syria they realize; I have to kill someone while I only came here to bring medicine. The pressure to do that is immense. Because their entire world is now ISIS. If it says that you have to chop off heads, then you do that. Otherwise you will become a victim yourself”. From that fear, ISIS members convince themselves if they have doubts that they are wrong, and the others, in ISIS, are right. Because everyone outside of ISIS is considered to be the enemy, this would relate to them too should they turn their backs on the group. “they believe they do not have any choice; if they do not cut off that head then they will lose their own”. 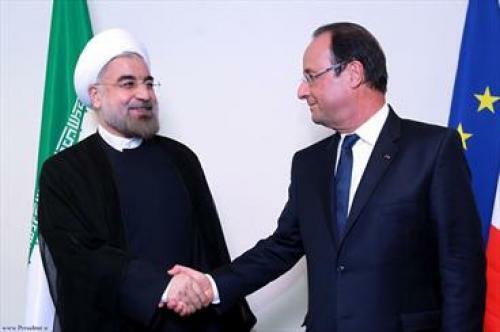 Massoud Khodabandeh: Will President Rouhani meet genuine human rights advocates halfway?